Entrance to the Acadian Village Historical Site in Van Buren, Maine. 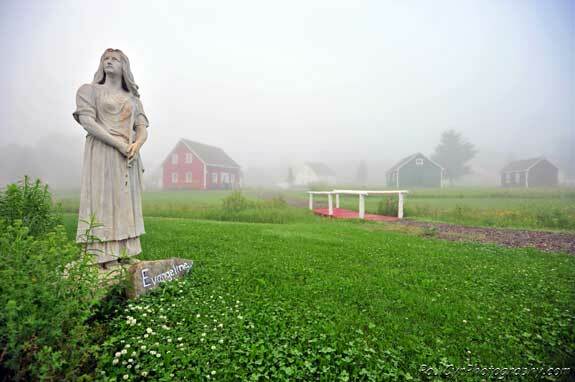 Maine has a long and varied lineage of traditions, customs and culture. It fact, Maine represents the best of dual histories. The state not only has its own diverse heritage and way of life, but it is also an integral part of New England’s storied past. Maine might not have the quintessential blockbuster attraction that people are accustomed to seeing. There is no Disney World or Leaning Tower of Pisa. Instead, Maine is the sum of hundreds of smaller, more unique places. From historic homes and wildflower gardens to colonial forts and scenic drives, when you add up all these attractions, you have something far greater than one blockbuster landmark.